All About Beer has been writing about beer for almost as long as I have been alive. 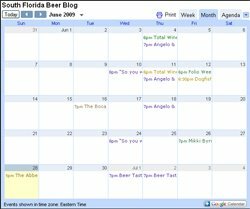 Starting 30 years ago they are the original beer blog and message board for beer. They were - and still are -the way to get news on beer. To celebrate their anniversary they are offering a great deal. For the next 30 days (till November 19th) they are offering the lowest subscription price they have given in decades. You can get a year-long subscription (7 issues) right now for only $12.99. That is more than 50% off the cover price. With that, you will also receive a free copy of their 30th Anniversary issue. You can purchase the subscription by clicking right here. Help support a publication that helped make craft beer what it is today. Rock Art Brewery Victorious Over Monster!! !